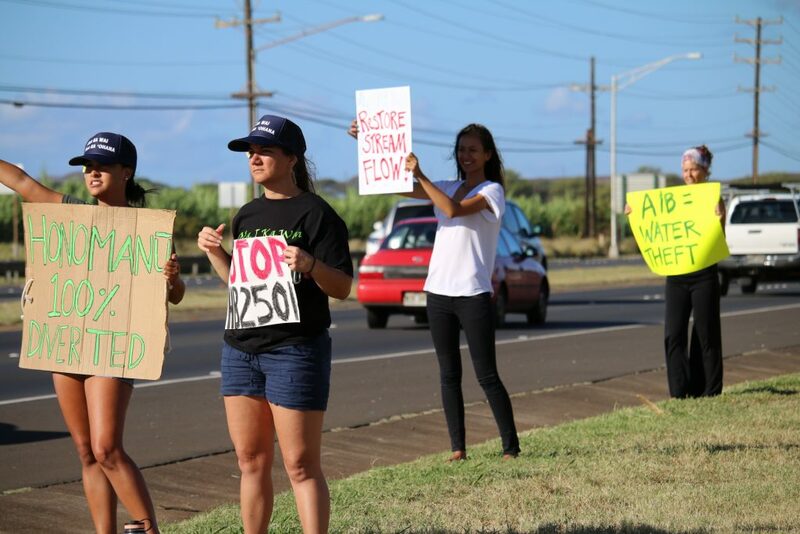 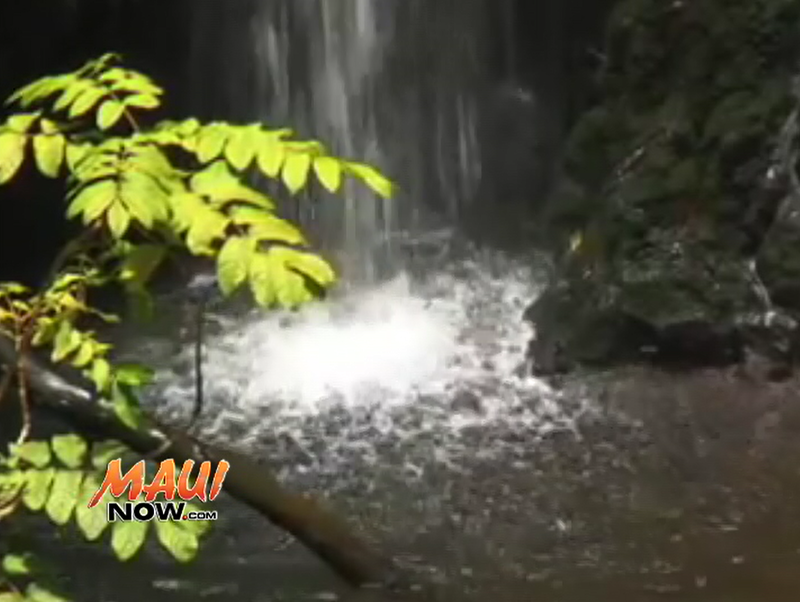 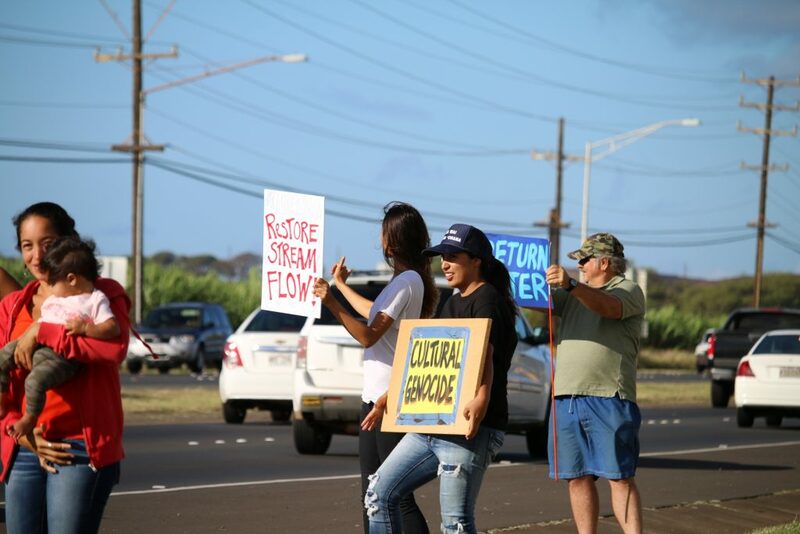 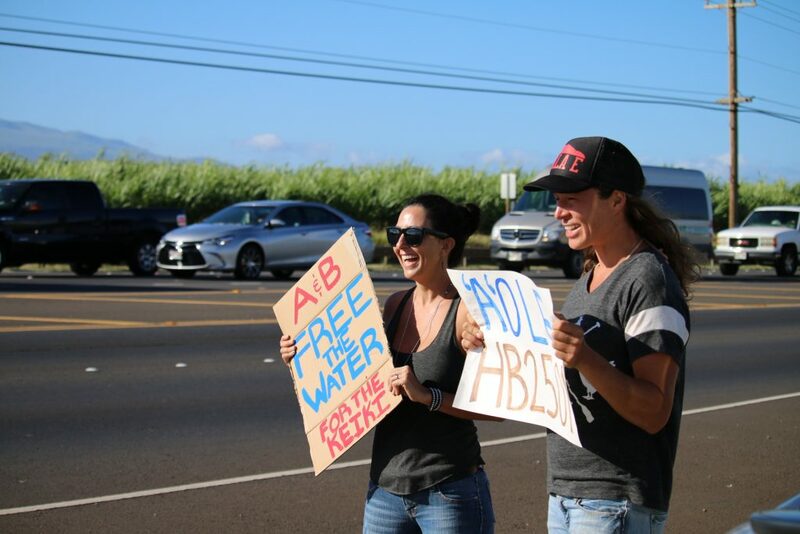 A water rights wave-signing event takes place this morning (Tuesday, May 3) from 6:30 to 9 a.m. on Hāna Highway beginning at the bottom of Haleakalā Highway. 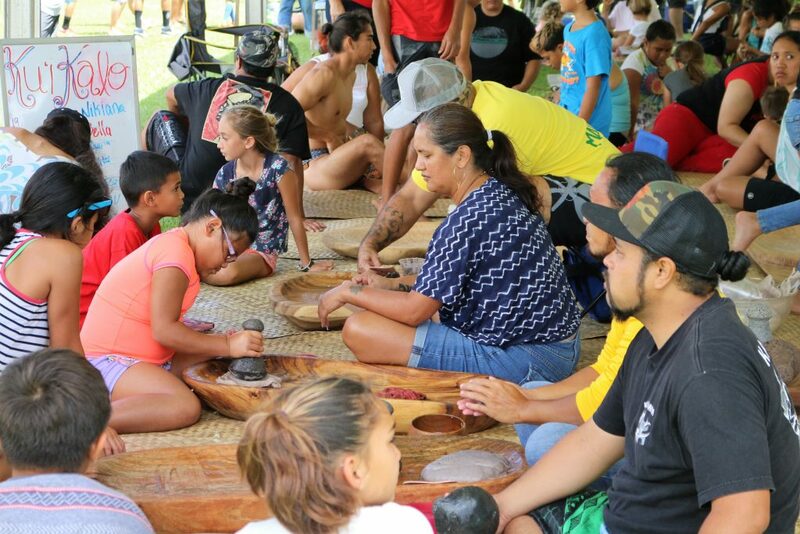 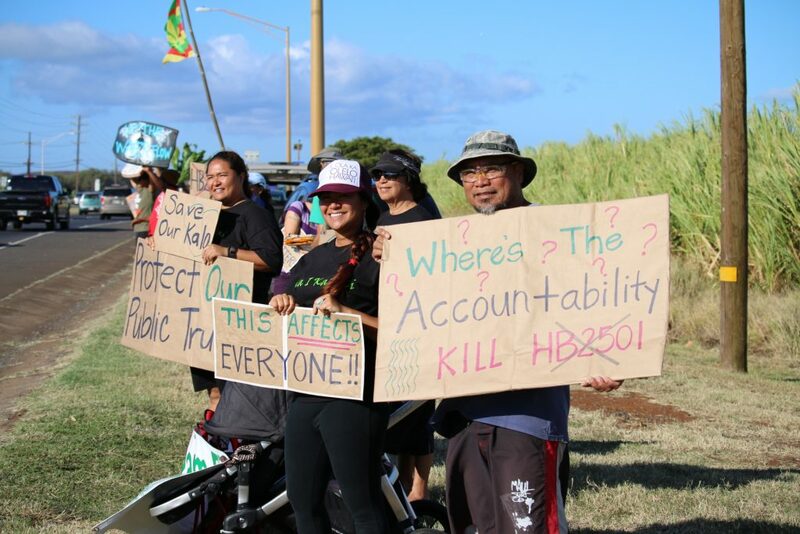 The event is organized by a grassroots group from the Ke‘anae and Wailua Nui area of East Maui who are in opposition to Hawai‘i State House Bill 2501. 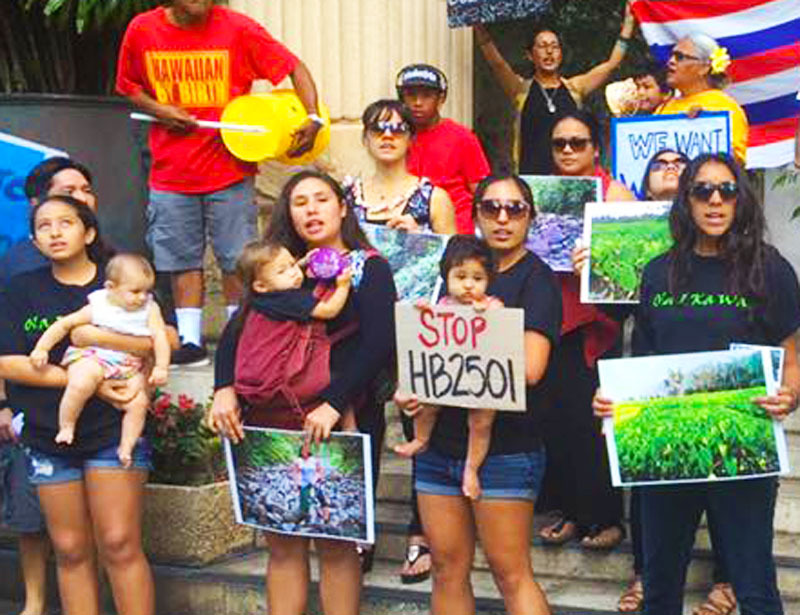 The Hawai‘i State Senate will take a full floor vote on the measure later today. 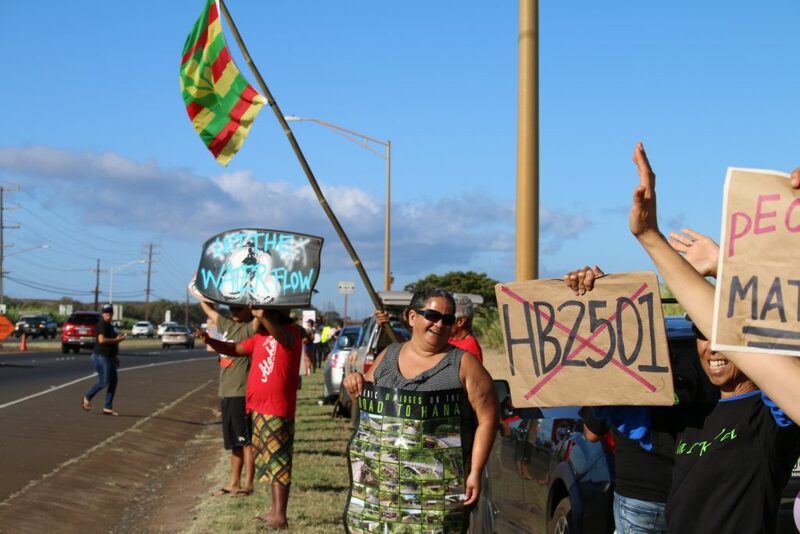 The legislative measure advanced in the House of Representatives, in a 41 to 10 vote last week. 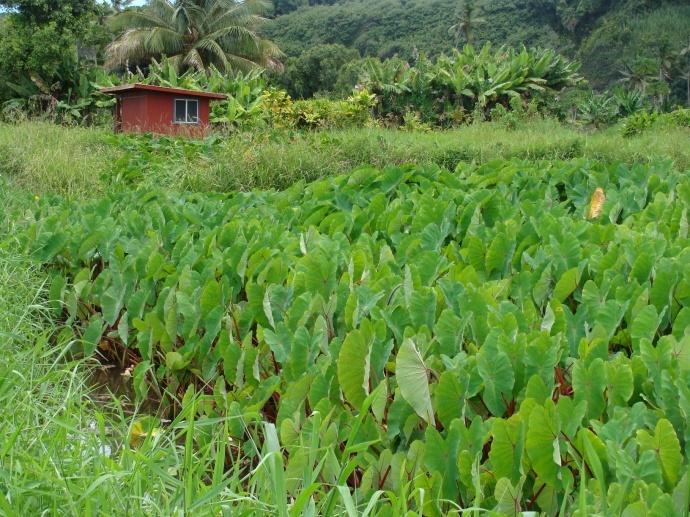 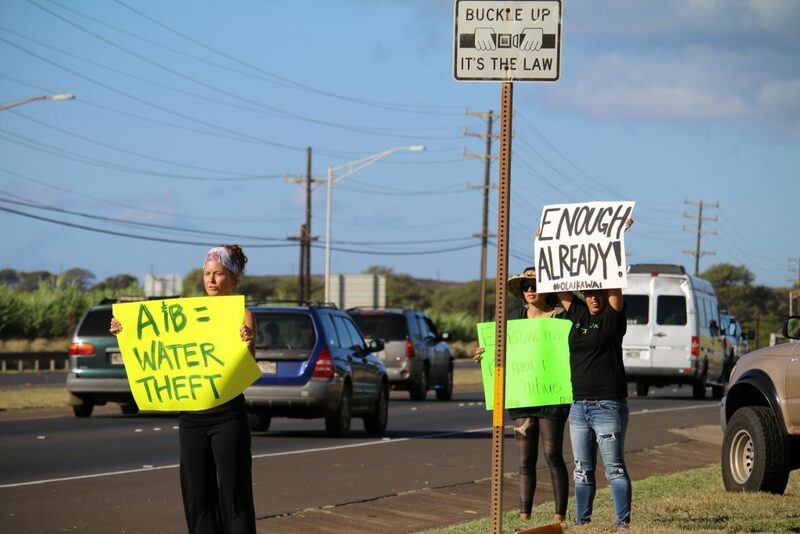 Opponents say they are “shocked at the measure movement,” and argue that “political persuasion has assisted in authoring the bill.” Opponents further claim the bill “attempts to negate” a Jan. 8, 2016 Circuit Court ruling contending that continued issuance of temporary permits for East Maui water diversions, is illegal. 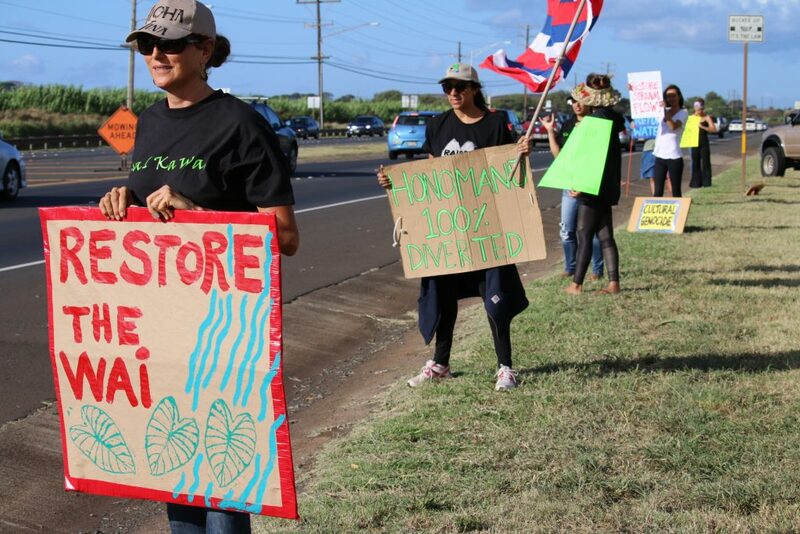 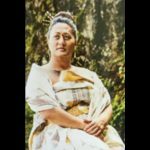 Organizers request that motor vehicle traffic be aware of demonstrators along the Hāna Highway. 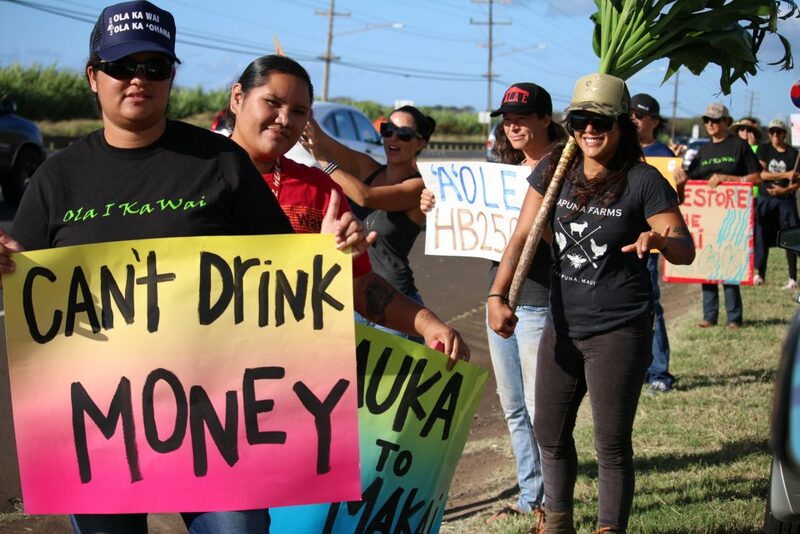 Water rights rally on Hāna Highway (5.3.16). 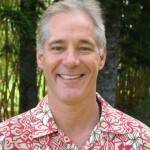 Photo by Nicole Schenfeld.